LAS CRUCES, N.M., /PRNewswire/ -- Virtual Caregiving is set to enter both the healthcare industry and patient home settings. In January 2019, G60 Trauma (G60Trauma.org) will begin testing Addison Care, the world's first, comprehensive virtual caregiving system to provide real time, 24/7 patient monitoring and care. Addison Care is a subsidiary of SameDay Security, Inc.
What can Addison do? In a clinical setting, Addison can greet a patient, recognized through facial recognition, conduct a verbal health examination, collect vitals, and even direct a comprehensive gait and balance session to determine the probability of a ground level fall in a particular patient. In the residential environment, Addison provides medication reminders, verifies medication consumption, provides medical test reminders, monitors vitals, demonstrates rehabilitation exercises, assesses a patient's progress, mood, fall risk and responses to escalating conditions and emergencies including contacting responders or caregivers in time of patient need. How does Addison work? A network of wireless visual sensors, local AI (artificial intelligence)-based processors, interactive tablets, Bluetooth biometric devices and emergency monitoring devices will be setup in a residence. Addison Care will be marketed and supported by a network of nationwide private duty home care providers that will serve as both live caregivers and Addison Care representatives. CEO of SDS, Anthony Dohrmann said, "Our goal is to expand affordable population health care to the masses, while lightening the burden on providers and payers. We are delivering an exciting new form of technology to patients and the active aging to improve their quality of life and health outcomes." Addison will be making its debut at the Las Vegas Consumer Electronics Show January 8-11, 2019, Booth: Sands Convention Center Halls A-D – 42142. "The costs of treatment non-adherence have been reported to be as high as $300B annually and is noted as being responsible for 50% of all treatment failures. 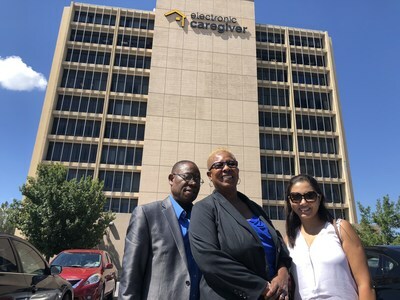 In a period of nursing and physician shortages, where home care is inadequate in frequency partly due to high cost, our hope is that Addison Care and Electronic Caregiver can fill the gap in patient care and bring better outcomes to the masses," Dr. Alicia Mangram stated.